Inspiring U offers both full day (9:00 a.m. - 4:00 p.m.) camps and half day (12:00 - 4:00 p.m.) camps, with the options of early drop off and late pick-up for an additional fee. 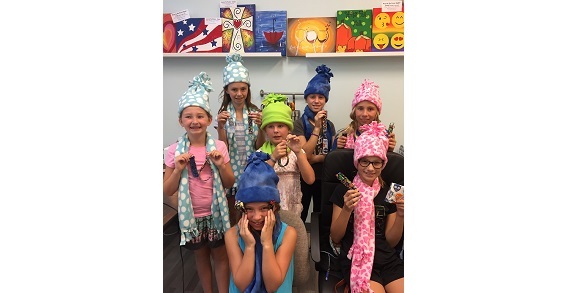 In Sewing Camp, kids will do both hand and machine sewing, making a variety of projects such as a blanket, a fabric covered journal, felt food, a backpack, a pillow and more. In Crafty Kids Camp, they will make clay pot crafts, canvas crafts, origami, hand sewing, tissue paper crafts, and paper mache. 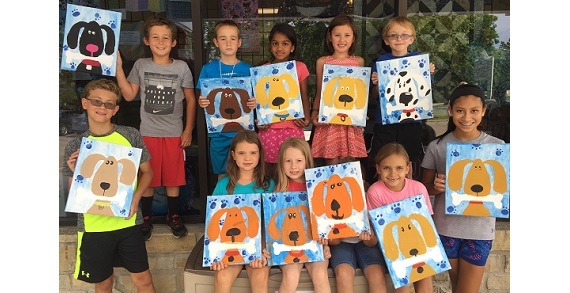 Art Camps will work with watercolors, pastels, acrylics, chalk, and drawing skills. All materials are included in your class fee, so no running around town trying to find supplies. Parents will provide a lunch, snack and a water bottle for their camper each day.